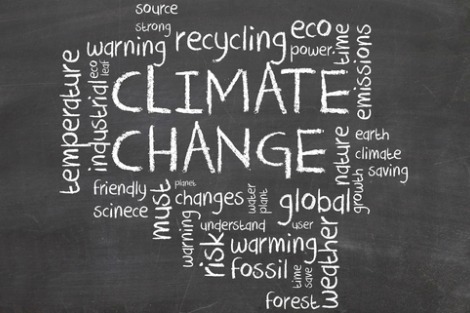 The term 'climate alarmist' is usually reserved for high-profile activists, scientists or politicians — think Bill McKibben, Tim Flannery or Al Gore — who raise concerns about the catastrophic impacts of future global warming. But with the release of some frightening reports over the last 12 months, those who deny the scientific consensus on climate change will have to expand their list of 'alarmists' to include some unlikely suspects — the World Bank, PricewaterhouseCoopers and the International Energy Agency. The Oxford Dictionary defines alarmist as 'someone who exaggerates a danger and so causes needless worry or panic'. The key point is that the alarm is raised without due grounds. On that basis, very few activists, scientists or politicians who warn about future calamities from climate change are actually alarmist because the dangers of global warming are well established and accepted by the overwhelming majority of scientific institutions. But in the lexicon of the climate denial blogosphere, 'alarmism' has a more specific definition, once described by skeptic Kenneth P. Green as 'the reflexive tendency to assume worst-case scenarios generated by climate models are automatically true (and to enact public policy based on that belief)'. Under that definition, the World Bank's November 2012 report 'Turn Down the Heat: Why a 4°C Warmer World Must be Avoided' could well be termed alarmist. 'It is my hope that this report shocks us into action,' reads the foreword by Dr Jim Yong Kim, president of World Bank Group. Although the global community has agreed to keep temperature rise under two degrees, the report argues that 'present emission trends put the world plausibly on a path toward 4°C warming within the century'. In case a four-degree temperature rise sounds balmy but tolerable, the World Bank points out that the greatest warming would occur over land, with increases ranging from four degrees to ten degrees. Heat waves such as occurred in Russia in 2010 are likely to become 'the new normal summer'. The warmest July in the Mediterranean could be nine degrees warmer than today's warmest July. Other near-apocalyptic predictions include regional extinctions of coral reefs and sea level rises of up to one metre by 2100. But what are our chances of prevention? Not great, according to a November 2012 PricewaterhouseCoopers report titled 'Too Late for Two Degrees? Low Carbon Economy Index 2012'. That brings us to two reports from the International Energy Agency (IEA), which argue for urgent action on climate change. 'Successive editions of this report have shown that the climate goal of limiting warming to 2°C is becoming more difficult and more costly with each year that passes,' reads the summary of 'World Energy Outlook 2012'. Under the IEA's scenario to reach this two-degree target, 'almost four-fifths of the CO2 emissions allowable by 2035 are already locked-in by existing power plants, factories, buildings, etc.'. 'If action to reduce CO2 emissions is not taken before 2017, all the allowable CO2 emissions would be locked-in by energy infrastructure existing at that time.' In other words, we have five years to begin a massive transition towards low-emissions electricity generation. Another IEA report, 'Redrawing the Energy-Climate Map', spells out four policies to be adopted as soon as possible, including limiting the construction of 'least-efficient' coal-fired power stations and partially phasing out fossil fuel subsidies. What are we to make of these dire predictions? No doubt people who deny the seriousness of climate change will flock to the comments section and argue it's yet more evidence of global conspiracy. I take the more plausible view that these international institutions are finally putting forward recommendations in line with the science. Deniers are right to argue that such reports will cause worry and panic, but not because they're wildly exaggerated 'worst-case scenarios'. In fact, the reports argue that our current trajectory will have terrible consequences. The PricewaterhouseCoopers report, for example, ends on the phrase 'business-as-usual is not an option'. When accountancy firms start sounding like environmental campaigners, the future looks very alarming indeed. Greg Foyster is a freelance journalist who has written for The Age, The Big Issue, Crikey and New Matilda. He is an alumnus of Centre for Sustainability Leadership and the author of the forthcoming book Changing Gears (Affirm Press, released September 2013). I ask climate change deniers if they have read the reports from the World Bank, NASA, CSIRO, UN, IPCC, etc, and the response is always: 'why would I read those, they're all part of the conspiracy!'. It just boggles the mind to think that these people are convinced every government on Earth and millions of people are part of this giant conspiracy. I didn't realize the World Bank and Pricewaterhouse Coopers were climate change experts?! Al Gore (non-science pollie)? Tim Flannery (palaeontologist)? Are they CC/GW experts? The world hasn't warmed in the last 17 years despite MM CO2 levels increasing by 8%. This is from the IPCC itself. The model projections are so far out it's a joke. There is no indication of CAGW. Sometimes reality is a bummer. We are truth seekers not deniers. Deniers deny the facts = alarmists. Thanks Greg for a timely and important article. Denial of science when its predictions cut across big interests is well established. Think tobacco, and it is even more critical with climate change. Money talks louder than scientific reason. Insurance companies have taken climate change seriously for some time. Hopefully, the IEA, World Bank and PWC will be even harder to ignore. As an older scientist who sees what is happening all to clearly, I grieve for those who follow us. Denial of the seriousness of climate change is far worse here than in Europe. For example Abbott says he will abolish the Climate Commission if elected because, in his view, why pay them to tell us what we already know. We don't , or at least our political trajectory on both sides shows little sign of understanding. The NSW State government has recently given another stark example of this. Leasing Newcastle as a coal port for 100 years is totally disconnected from climate change reality. And so it goes on. There's a useful distinction to be made between climate change deniers, who for the most part are largely ignorant of the relevant and straightforward physics, and Denialists, whose career depends on not only remaining willfully ignorant of the same straightforward physics, but actively misrepresent the physics, and its consequences. "Mother Earth" by Michael Leunig: Poor old lonely mother earth/Is very, very sad;/She had a bomb put in her heart/By people who are mad./She held them and she fed them,/She taught them to be free;/They put a bomb inside her heart/And whispered, 'C'est la vie.' Fortunately, there are many scientists and community members who are working tirelessly on this very important issue. After the East Anglia fraud where 'top scientists' doctored the climate results, after reading the work of Bob Carter and Ian Plimer and other scientists who questioned the IPPC results and after reading of the defection of scientists from the IPCC - despite reading some of the reports you mention I too approach the issue with a spirit of true scientific enquiry and sceptisicm about global warming. There is a good case for cooling too.. Just because many top scientists agreed with Hitler's racial theories, it did not mean they were right. Often it was the lone questioner in a particular situation - such as Galileo - who was right while the mass of 'back patter' 'top scientists' were wrong. An IPCC author, Professor Roger Jones - says the dire carbon policies will at best cut the world’s temperature by 4 thousandths of 1 degree, by the end of the century. 4 thousandths. And ruin how many jobs and lives for no gain. This is an example of a mass institutional delusion funded by big money and will come apart in the next few decades. Misleading headline. I hoped to find some rigorous scientific argument but there is only the usual fallacy of deference to “authority”- which now includes banks and global energy regulators. Has it not dawned on this journalist that it is exactly banks that stand to benefit most from an expanded trade in carbon emissions? Or that it is exactly the international energy regulators who stand to expand their power by a global integration of carbon dioxide markets and taxes? “Follow the money and follow the power” used to be an axiom of journalism but not, for some reason, in this field of climate politics. And “follow the evidence” used to be the only axiom of science – but here we see no scrap of evidence, only more “models” and “projections” which will give whatever output the “researchers” desire. The actual evidence is that the pleasant late-20th century warming was well within the background variation we see on decadal scale(compare to 1910-1940) to millennial scale (compare to the last three millennial peaks); likewise the actual evidence of increased CO2 is that it benefits human agriculture and natural biomass markedly – and that speculation of increased harmful weather events have never come to pass. If I remain healthy, I may have some 10 more years of life, my remaining children some 30 or 40 years. I will die knowing that my further descendants' life expectancy will be less. It is apparent no Australian leader will fight to remedy the holocaust which is coming to our beautiful world. Only some small creatures may survive it. Humans can not evolve quickly enough to continue to people the earth. If the global picture seems too hard to comprehend, just look in your immediate neighbourhood. Where I live there are very few bees and last year everyone was complaining that they could not get pumpkins or zucchinis to grow. More and more people are installing air conditioning units. Fewer people walk outdoors. Just small signs, but perhaps I'm being alarmist! I suspect the use of the word "denier" is deliberate - to put the person in the same category as a Holocaust denier. There is no doubt that climate is changing around the world. I can no longer plan my garden! The flamin' spring bulbs come out in early winter, the roses have no idea what pruning is all about, the bloody summer flowers which always loved 'full sun' shrivel up before their time and the autumn leaves are still clinging to the branches in full coloured glory till late winter/early spring. Such climate changes are part of the history of this planet and have accounted for the disappearance of many cultures and land masses over the aeons, at times when human kind was sparse over the massive land mass that existed thousands of years ago and almost the entire surface of the world was covered by vegetation absorbing carbon dioxide and producing life sustaining oxygen. Since these earlier climate changes happened without progressively increasing carbon dioxide levels,the question has to be, "Is carbon emission through carbon dioxide generation the sole cause of our current problems?' Clearly, there must be other factors at play if one considers the massive climate changes that occured in the distant past without excessive carbon dioxide generation. As Skye points out above there will be much hardship endured through expenditure on schemes to control carbon emissions particularly if other factors (perhaps not currently known or accepted - Gallileo all over again?) are ignored. More importantly at the moment, my garden is a flamin' nightmare. It's great to see a green leftist backing a report (PWC) which strongly advocates nuclear power! I'm sorry though that much else in these offerings - is just rechurned hash. EG, the "97% consensus" findings in the NASA link have been well and truly debunked. You do realize the Anderegg & Stephen ("We have to offer up scary scenarios") Schneider report wasn't peer reviewed and is a laughing stock - finding that 97% of papers appearing in climate journals were, shock!, by warmists? Check out, too, the note at the head of the World Bank report: "... The findings, interpretations, and conclusions expressed in this work do not necessarily reflect the views of The World Bank, its Board of Executive Directors, or the governments they represent...The World Bank does not guarantee the accuracy of the data included in this work." Now that's confidence! Perhaps they were mindful that the scientists they were relying on at the Potsdam Institute for Climate Impact Research, such as its director Schellnhuber (who believes the world's population should be restricted to 1 billion) are notorious for being regarded as dodgy, even by leading warmists such as Bradley, Wigley and Jones. And don't just take my word. Read around. So accountants and finance institutions are able to acknowledge climate science and its full implications but not governments! In Victoria we are about to embark on publicly funded road infrastructure costing $8 billion that will almost certainly entrench car dependence and therefore higher fossil fuel use further, instead of viable, possibly less expensive public mass transit options that will reduce it. We have a Federal Opposition that intends to refuse to fund any urban rail options by Infrastructure Australia at all if they are returned to government. We need our politicians to declare whether they stand with the financial sector or with the road lobby on this critical environmental issue. Thanks for this article Greg. Responding to the comments, Skye, the East Anglia 'Climategate' situation was not a fraud; HH, the 97% has not been debunked. It has been attacked but with no credible argument. Have a look at skepticalscience.com and you will see detailed arguments, backed up by detailed evidence about this and many many other arguments put forward by skeptics. Nothing wrong with being a skeptic. If a skeptic is serious, it means they really want to find out the truth. A denier is one who has seen the truth but is in denial. Skye and HH, do you have evidence to back up your statements? I mean credible evidence, not arguments from people who are not climate scientists. One more quick question: Rajendra Pachauri says that there's been no warming for the last 17 years, and that it's going to be 30, 40 or even more years before we can tell if the warming over the last 50 years has stopped (or not). ("'Nothing off-limits' in climate debate" The Australian, February 22, 2013.) Does that mean the current head of the IPCC is a "denier"? Why has the reference to "Global Warning" to climate change/ Is it because the earth is not warming or is it because the climate has been changing for millions of years? By the way, whatever happened to the hole in the ozone layer? Hi Nils: re skepticalscience editor John Cook (cartoonist, non-climate scientist) and the Anderegg/Schneider study, I think I'll kill two birds with the one stone with this offering from Mike Hulme, professor of Climate Change at the Uni of East Anglia: "The “97% consensus” article (of John Cook et al, 2013) is poorly conceived, poorly designed and poorly executed. It obscures the complexities of the climate issue ... It offers a similar depiction of the world into categories of ‘right’ and ‘wrong’ to that adopted in Anderegg et al.’s 2010 equally poor study in PNAS." HH: nothing like having a bet both way,s is there? Seems to me tha you think that there is a legimmate argument for climate change as long as the propoment for same is properly "orthodox" How about you step out of the "orthodox " square and consider the big picture? Global observations indicating that there is increasing energy in the oceans and atmosphere are relentlessly accumulating. The physics of how greenhouse gases which are mainly carbon dioxide and methane interact with radiation is straightforward. The massive return of fossil carbon to the atmosphere as these gases is irrefutable. In all my career as a physicist I have never seen clearer evidence of cause and effect. The science is simple, but human reactions to fear are not. Long ago Isaiah said "Be ever hearing but never understanding; be ever seeing but never perceiving". Jesus and Paul quoted him, all in the context of people who feared change. Different time, place and circumstances, but the same fundamental human problem. JR, you'll have to try again - don't understand your comment. David van Gend suggests we "follow the money", while Skye suggests "mass dillusion funded by big money". The simple fact is that the most profitable companies in the world are those involved in fossil fuel production - Shell, Mobil, BP et al. The companies have almost unlimited financial resources and enormous self-interest at stake in undermining those presenting the case for global warming. To ignore this is truly dillusional. If one is looking for conspiracy theories, these guys really know how to protect themselves and their investments. Their resources make those of all our climate change scientists pale in comparison. In science, matters should be not determined by consensus; it's not a democracy. Remember poor Wegener, that lonely and derided voice claiming that the continents had drifted. I get depressed and frustrated when I see people with conservative religious views throwing conservative economic policies (climate change inaction/denial) into the same bundle. It's proof that it's a merely ideological argument based on greed and superiority. It would even go as far as saying that it's the work of Satan. Great example, Brian Finlayson. When Wegener first proposed continental drift, he was a lone voice. Now the evidence is in and there is widespread scientific consensus on the matter. When the link between CO2 in the atmosphere and global temperatures was first raised over 130 years ago, no one took the matter seriously. In the 60s and 70s a few scientists were starting to raise concerns about fossil fuels, but they were on the margins. Now there is overwhelming evidence in favour of the impact of CO2 on climate and a consensus has been achieved. That’s the basis of scientific progress. Of course Wegener did not have to fight a well-funded campaign by a multi-billion dollar industry design to sow doubt on his theory. Bill Barry asks whatever happened to the hole in the ozone layer. Good question. The hole in the ozone layer was caused by chlorofluorocarbons (CFCs) which interacted with ultraviolet radiation in the upper atmosphere to destroy protective ozone. CFCs were widely used in refrigeration, air-conditioning and various manufacturing processes. In response the global community banned production of CFCs and replaced them with safer alternatives. This was done through the Montreal Protocol (1989). This has turned the problem around. In a similar manner the global community needs to unite to limit CO2 emissions to circumvent climate change. The difference between the two is that there is far more financial self-interest at stake in fossils fuels than there ever was in CFC production. Thanks for the article Greg - a clear and informative review. I don't think you'll score any points with the deniers who would rather attack with discredited conspiracies than discuss the evidence. Opponents of Einsteins's theory limed up 100 scientists to contradict him. He said that if he was wrongg on the evidence then only one would be needed! So much for 'scientists consensus'! Gallileo supposedly said to his detractors that it was like the difference between an eagle, flying high and seeing ahead, and a flock of starlings. flying around in a mob making a lot of noise and depositing excrement!